Trying to find just the right cross stitch pattern may require a lot of searching. 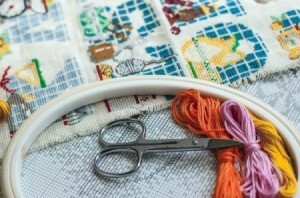 Sometimes you may need to draft your own pattern or alter an existing one. 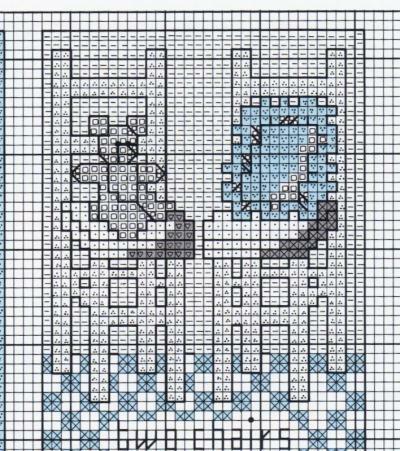 This is a guide about finding a rocking chair cross stitch pattern. Does anyone have a cross stitch pattern for a front view of a plain rocking chair? No toys, or blankets, etc. I would really appreciate finding a pattern. I've looked high and low, but without success. Thanks. My wife does counted cross stitch and we found a program for our PC that allows you to load a photo and it makes it into a pattern. It seems expensive at first, but you can use it over and over again to make patterns to copy photos of anything, people, pets, flowers, your home, etc. and then it becomes a real value. I would like to know if anyone has a cross stitch pattern for just a plain rocking chair that you would be willing to share. I have looked and looked to no avail. An elderly lady had a bookmark size piece of cross stitch with a simple brown rocking chair and the words beside it were "Come grow old with me the best is yet to be". Thanks in advance for your help. By Patricia Sertic from Stoney Creek, Ont. I looked through what I have and didn't find anything, but on freepatternsonline.com you can get a free graph. Since it's small try drawing out a simple rocking chair from a picture of one and pick out the colors yourself.